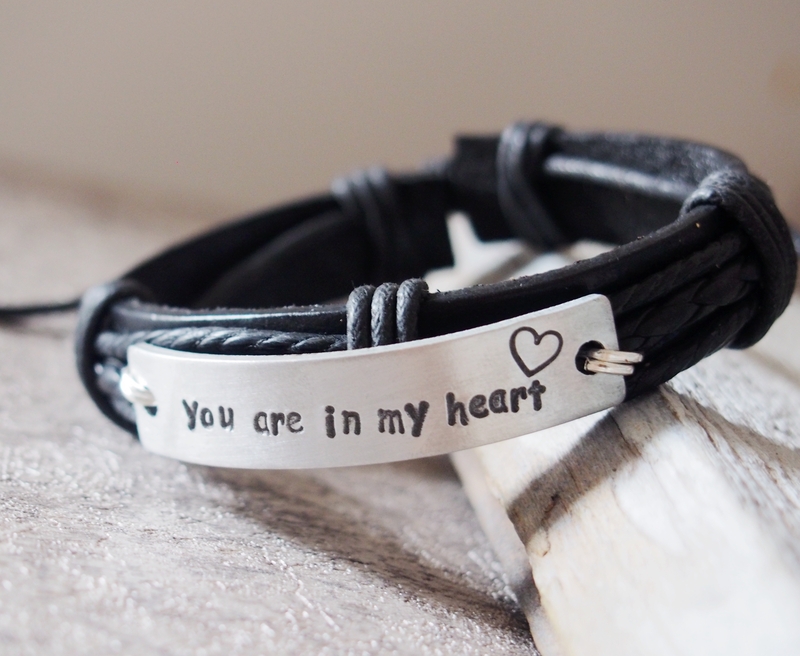 Tagged as black leather bracelet, black leather bracelet men, black leather bracelets, black leather bracelets men, Gift for boyfriend, handmade leather bracelets men, husband gift, quote bracelets, silver, You are in my heart bracelet. 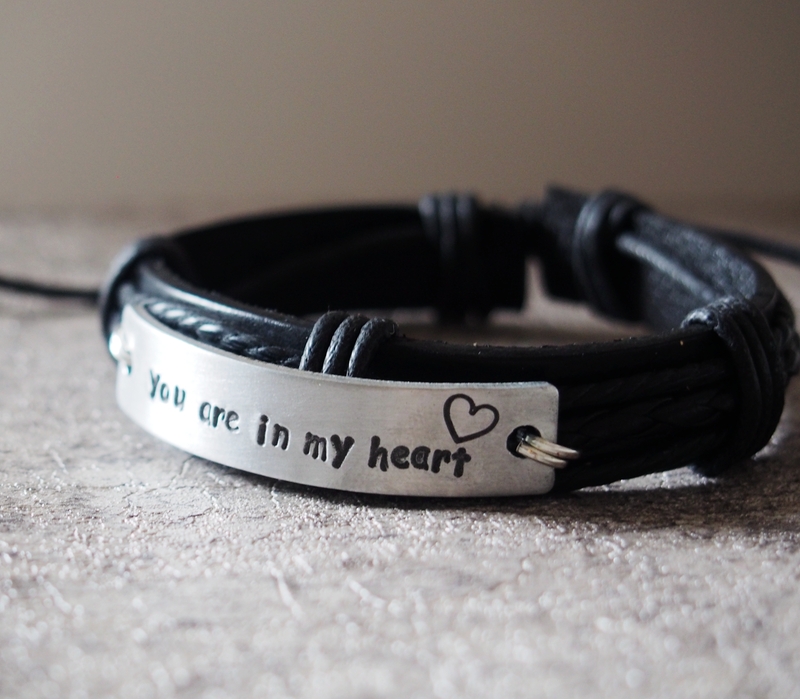 We hand made this bracelet by real black leather with the silver hand stamped”YOU ARE IN MY HEART”. 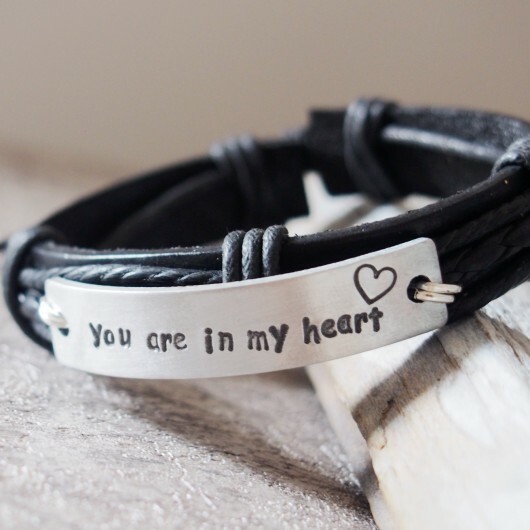 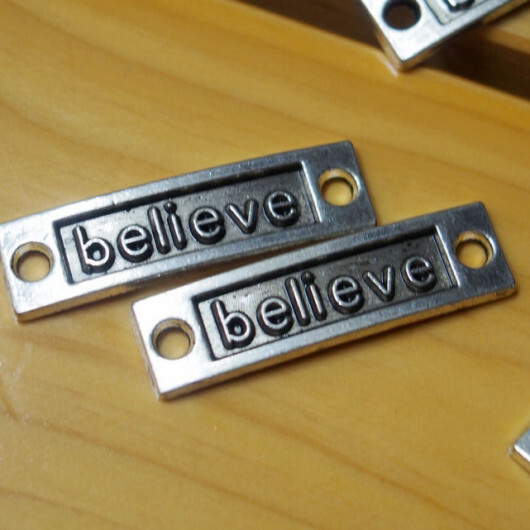 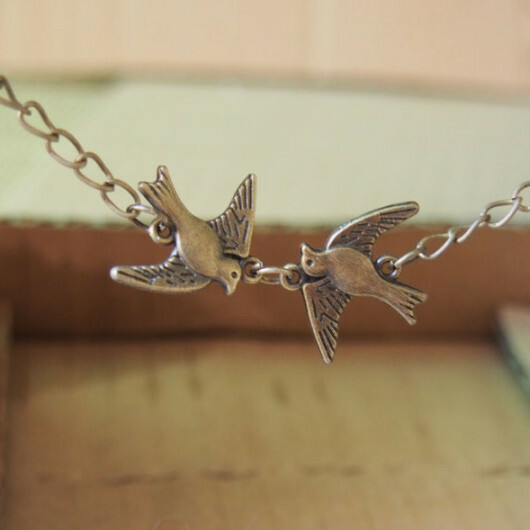 This unique customized bracelet is for boyfriend, mens gift, husband gift.